Every year the Luxembourg National Research Fund (FNR) organises get-togethers between local researchers and secondary school pupils within the framework of the campaign “Chercheurs à l’école”. Researchers of all scientific disciplines “go back to school” to inspire the next generation of researchers. 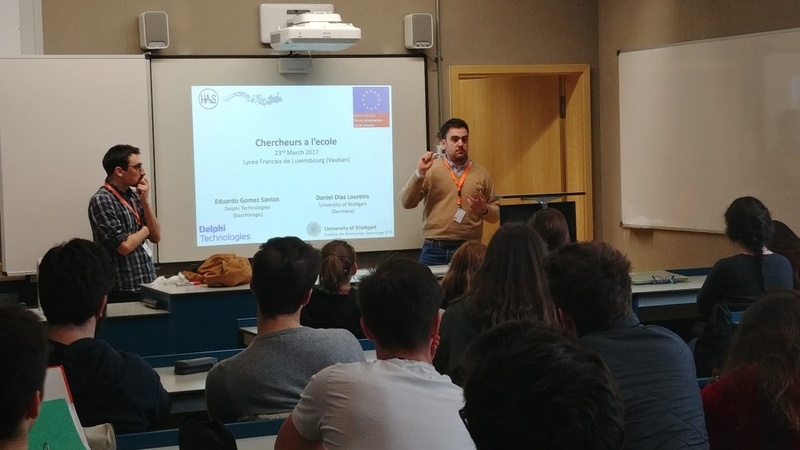 So did the HAoS ESRs Mr Eduardo Gomez Santos (ESR 4) and Mr Daniel Dias Loureiro (ESR 6): On the 23rd of March 2018 they visited the “Lycee Francais de Luxembourg” (Vauban) to present their research work to approximately 30 final year high school students and to motivate them to pursue research related carriers. “What is research and who pays for it? What are the research objectives of HAoS? 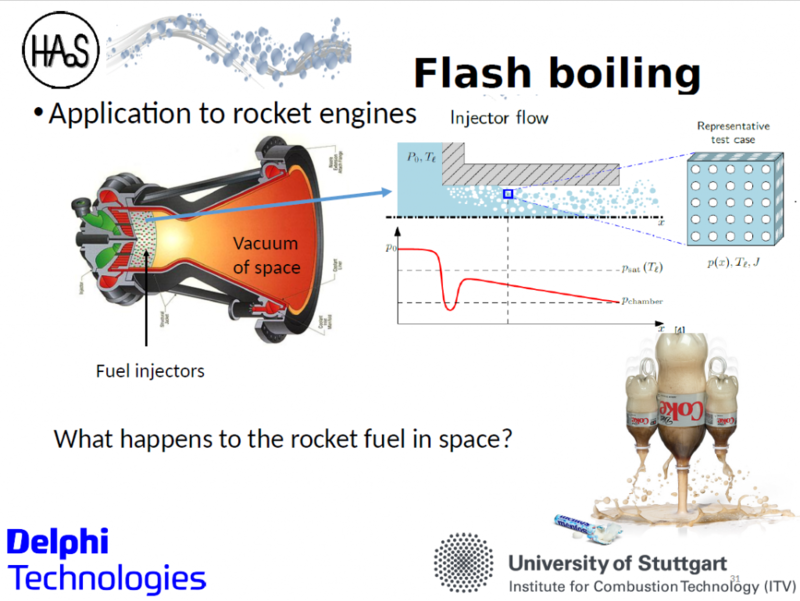 Why is it important to study the fuel injector sprays and how does this research contribute to a cleaner environment? What are the benefits of using simulations as an experimental method? “ The presentation of the HAoS ESRs was well adjusted to the knowledge and age of their audience and the two researchers received a very good feedback from the students and their teacher for sharing valuable information in a very comprehensive way.